I am not sure how many of you are familiar with Milk Ice Cream or Pal Ice as it is referred, but this was my favorite ice cream as a kid. My first memories of this Ice cream was when we lived in a small town, some 180 kms from Madras. We were there for a period of 18 months or so, and I was around 8 yrs at this time. Incidents during that period always remain so vivid in memory. Pal Ice was moulded and served in an ice cream stick. I had no clue beyond the fact that it was made with milk and sugar. We used to have an ice-cream factory in the neighborhood, and we were allowed to eat from that place. Daddy being a doctor, was always very strict about not eating food from carts or any road side shops. Summers were always hot and come afternoon you will see the kids settling under huge trees and playing. Amma mostly never would let us out during afternoons. Afternoon naps were common, but restless kids were seen loitering around the compound. During those days we would see the Icecream vendor pushing around his cart, fresh with his ware, shouting at his top of the voice, Pal Ice! And as bees to honey we would run out to see him. I think it used to cost about 50 paisa – 1 Rs, not sure. But with a coin in hand and steel glass in another, Sree and I would barge out of the house, yelling at him to stop. Panting we would reach the icecream wala, thrusting both hands forward. We will have one Pal ice dropped in the steel tumbler. With the scorching heat, the stick ice would already be melting. But mindless and heedless of anything, we will rush inside to settle down to lick on the stick. Better part of the ice cream would have melted already, but then we had the tumbler just for that, it will hold the melted milk and we will hurriedly drink that next. It still used to be very cold and icy. Years later when we got our refrigerator, this was the first dish I ever made. I used to mix hot milk with sugar, allowed it to cool down and put it in a bowl and freeze. As I said all I knew was it had milk and sweet. 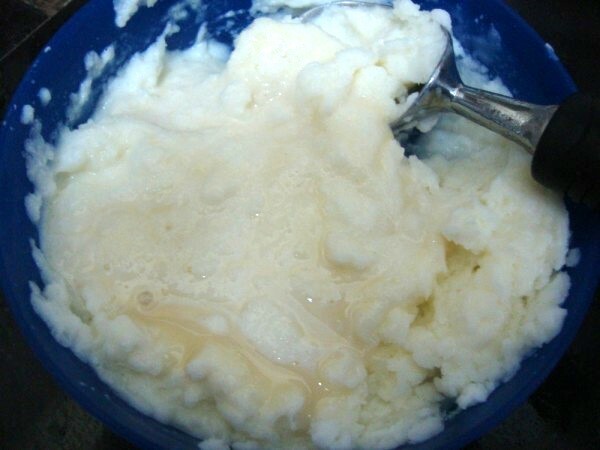 Couple of hours later I would settle down with my very own homemade Milk Icecream. It used to taste so delicious. It used to be icy with crystals all formed, I used to munch down the crystals and enjoyed it thoroughly!. In the years to come, I leant that one has to beat the ice cream and I was seen doing that as well. It’s been one wonderful journey from a primitive way of making ice to the smoothy ice cream I landed myself in. 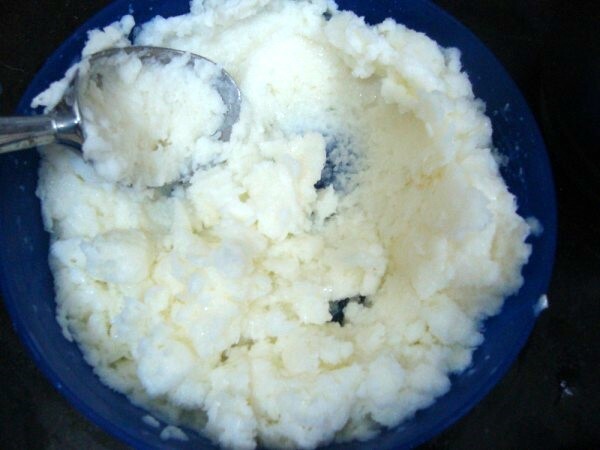 But I have always remembered this Milk Ice Cream or Pal Ice and always wanted to make it. I might encourage Konda to do this, but on second thoughts maybe she should arrive at this idea herself. Making this has been on my cards for a while, yet I never came around making it. So I was really looking forward to this edition when I planned to make this. When I opened the box, I could see those crystals formed and it was so icy. I simply crushed it well with the Ice cream scoop the first time and after 2 hours added condensed milk to get more creamy and pulsed it couple of times. Again froze for 6 hrs. My ultimate step into heaven is always a dose of the chocolate syrup and couldn’t wait for the pictures to be clicked. It was exactly as I remembered from my childhood and it was utter bliss! This is after 6 hrs. Boil milk and add sugar. Make sure it is mixed well. Once it cools down, freeze it. It took about 6 – 7 hrs for it to freeze in our climate right now. Remove, crush down well. 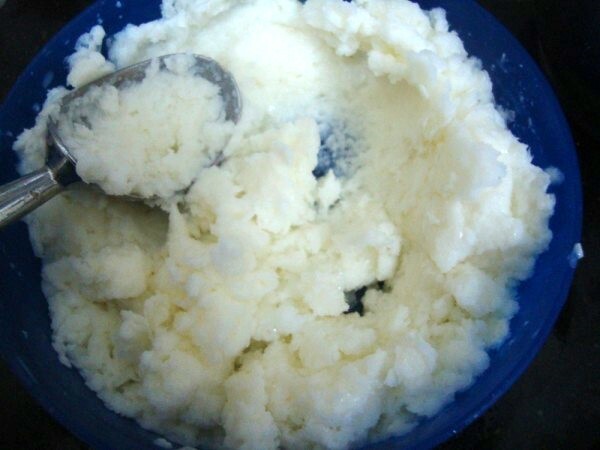 Freeze again for 2 hours, remove and add condensed milk. Beat well. I pulsed it for couple of times. Freeze it again. Enjoy after 6 hrs of freezing again. Serve with chocolate sauce for ultimate bliss! Peddu loved this so much that I was so happy. In the morning when I was clicking the pictures both Peddu and Chinnu said they don’t want it. But when I came back home, Peddu said he wanted and ate an entire bowl! Everybody can relate to you when it comes to food nostalgia, I guess. This looks super cool!! I would pass the choc syrup and have it as is!! Enjoyed reading this post, Valli. The ice cream looks creamy and perfect for summer. Valli, while thinking of various ice creams to do for this series, these paal ice too came to my mind. It sure brings so many memories of my school days. I can't wait to try it soon. And the ice-cream looks yummmm! 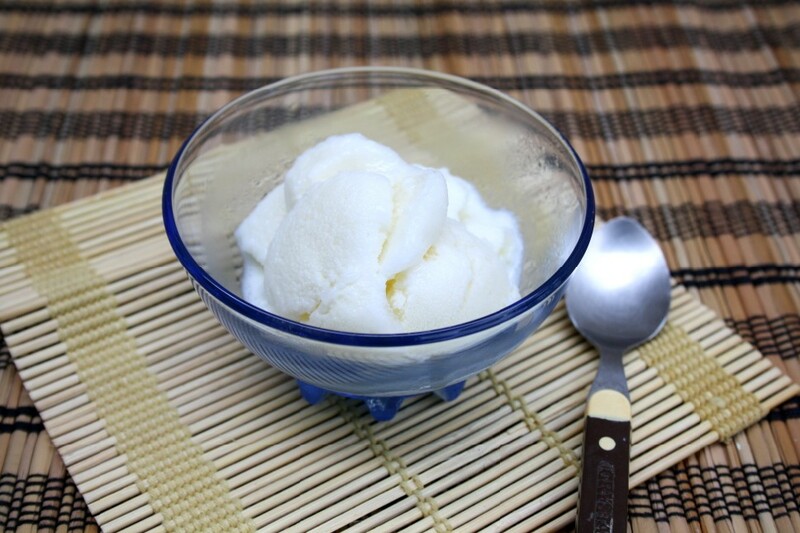 Paal ice makes me nostalgic, feel like relishing this wonderful creamy ice cream.. I have never had something like this before, but I am going to try to make it. Looks yummy. My kids would love it for sure. Pal ice is my favorite as a kid… so good to know it could be recreated at home!.. I love this icecream !! brought back my school days !! will surly try !! thanks for this recipe, what is condensed milk? Very interesting childhood memories. Even we used to buy paal ice from street vendor and enjoyed it a lot. Your write up has rekindled my memories. Ice cream looks so nice..
Pal ice looks snowy, sweet and delicious. Chocolate syrup gives it the gourmet touch.. I remember we 3 sisters used to fight for this pal ice. We used to wait for the Ice cream wala everyday to have this. SO simple and delicious. Will surely try this in this summer. 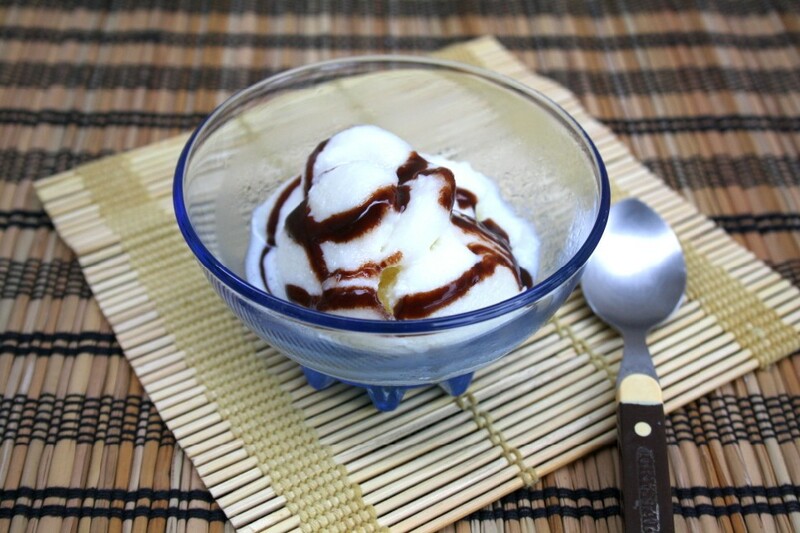 wow i made icecream of incredible taste with steps!!! I added ellachi it gives a good flavor. Try it u ll like .